Tucked within hills and surrounded by lush green forests and fruit orchards is a town which is one with nature. 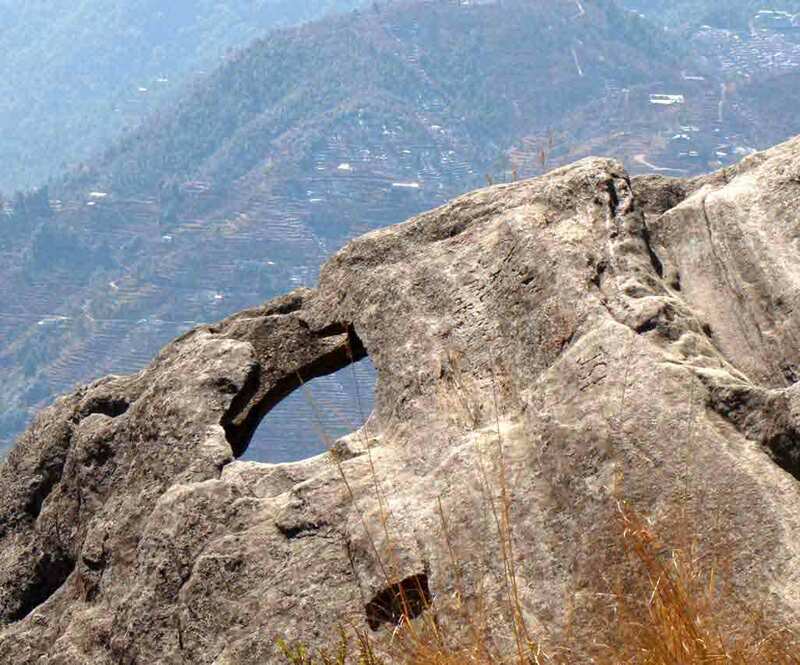 Mukteshwar gets its name from Lord Shiva and is a go to destination for seekers of peace, solitude and for those who need unadulterated union with mother nature. Mukteshwar is located in the Nainital District of Uttarakhand, India. It sits high in the Kumaon Hills at an altitude of 2286 meters (7500 feet), 51 km from Nainital, 72 km from Haldwani, and 343 km from Delhi. One of the most famous attractions of this place is the Shiva Temple, Known as Mukteshwar Dham, after which the entire region was named Mukteshwar. A 350 year old temple, it is situated at the highest point in Mukteshwar. The Residing deity of Mukteshwar Temple is Lord Shiva. 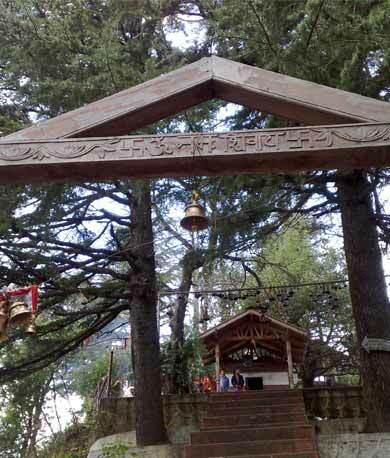 This sacred shrine hilds immense importance amongst the people of Uttarakhand state. Mukteshwar temple is situated atop a hill form where vistas ofnature are captivating. The Shivling is surrounded by idols of Brahma, Vishnu, Parvati Hanman , Ganesh and nandi. 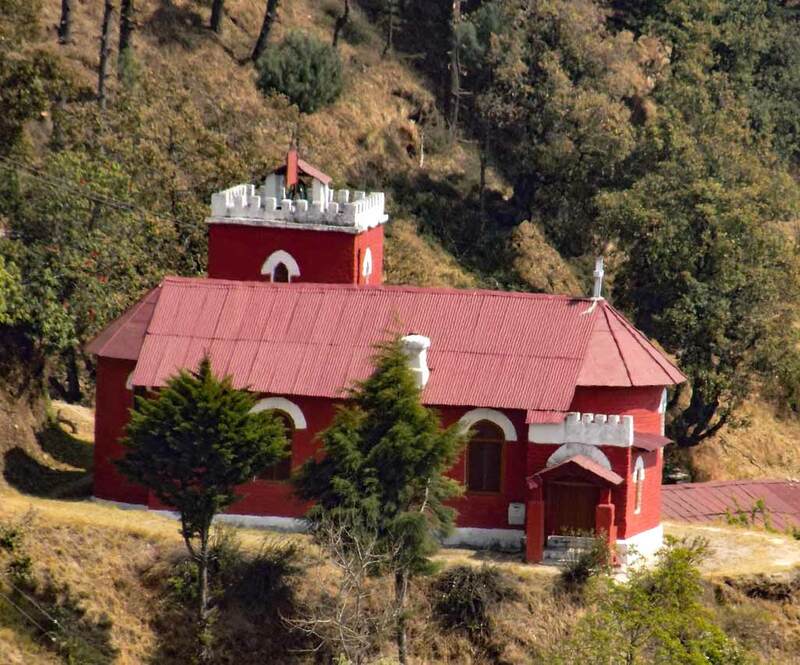 Mukteshwar temple is situated at an astounding elevation of 2,213 mts above sea level. 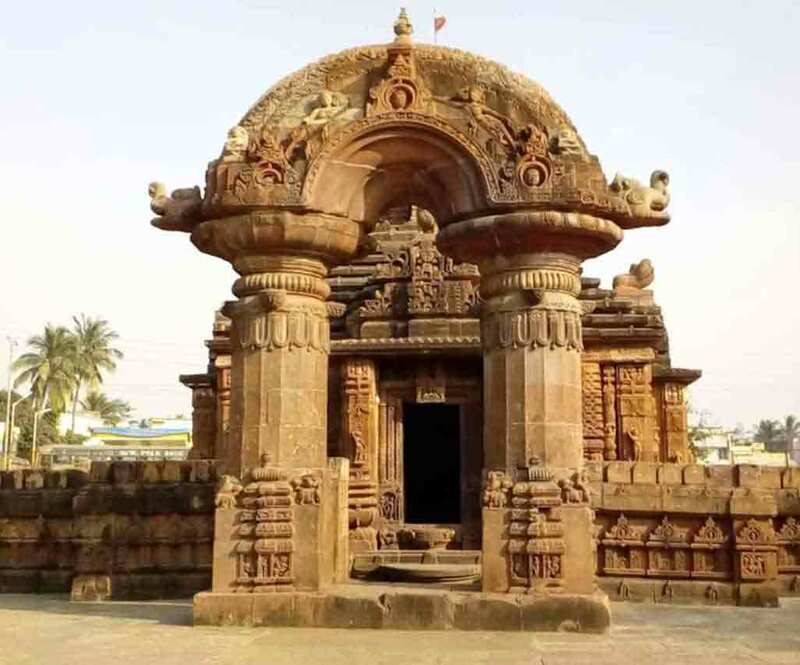 Chauli ki Jali is situated near this temple. The trek to Mukteshwar temple is a memorable experience and those who look for heavenly feelings can devote themselves to the blessings of Mukteshwar. The PWD inspection Bungalow in Mukteshwar is an architectural wonder. 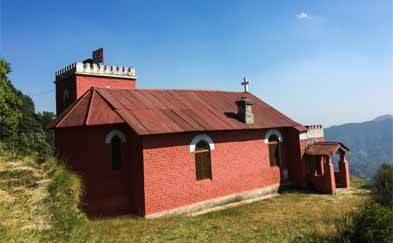 it is situated close to the Mukteshwar temple and is a landmark in the town. 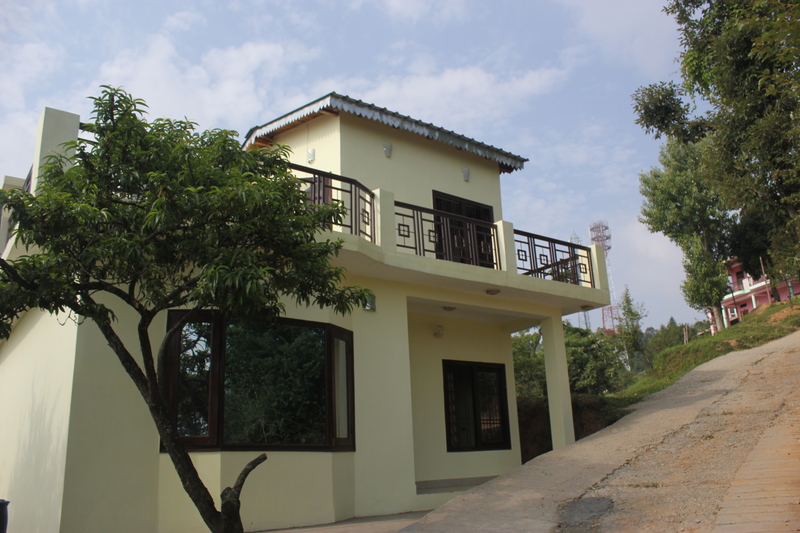 The bungalow has lush green surroundings and beautiful views whick makes it a must-see in the hill station. In fact, it is the perfect beautiful views which makes it a must-see in the hill station. in fact, it is perfect beautiful architecture the bungalow has unique charm. just before you hit Chaulli on the way up, a blackmetal strip on a tree points out the way to the Methodist Church. The narrow path has been cut in rock and polished smooth over the years by passing hooves and feet, so watch your step. The church is homely, in keeping with the town it was built for its walls and tin roof are well preserved. The steeple has a bell presented by a certain Barbara, in memory of her parents, on Christmad Day. Chauli ki jaali was originally Know as Chuthi Jaali . it is a mesmerizing place situated on the cliff you can have invigorating and panoramic views of spendid Himayalayn range and enchanting valley of Kumaon region. There is a natural lattice around the rock here and it is believed that barren women who take their head out of the hole in the rock are blessed with a baby. According to myths a group of devotees were on their head out of the hole in the Mansarovar and at this dangerous rockclimbing point they prayed Lord Shiva to help them. Lord Shiva blessed the guru with power and asked him to hit the rock four times. 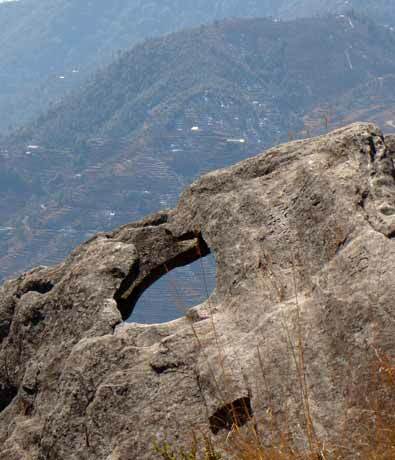 A hole appeared on the rock surface when the guru hit it the fourth time. Mukteshwar has a subtropical highland climate. The pattern of seasons is similar to that in other parts of northern India, with distinct summer, monsoon and winter seasons. However, due to its high elevation, Mukteshwar is spared the intense heat of lower-lying towns and cities. Mukteshwar has cold winters and relatively cool summer with drastically escalated rain, in relation with lower altitudes, and frequent fog. Summers are warm with moderate rainfall, while the monsoon season is slightly cooler and features much heavier rain. Winters can be quite cool, and temperatures below freezing are not unusual. Snowfall occurs occasionally in December and January, though it is sparse, while the heavy rainfall events occurs during the monsoon season stretching from July to September. (Summer) Max 20 Degree C.
(Winter) Max 12 Degree C.
Nearest rail head is Kathgodam (65Kms) connected to Lucknow, Agra, Delhi and Howrah.